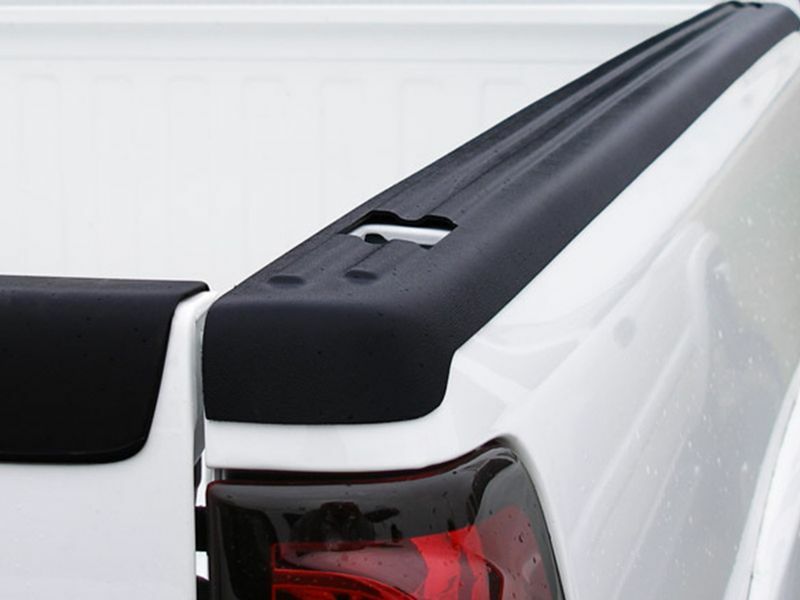 Stampede ribbed bed rail caps for trucks offer optimal protection for your pickup's cargo box. Each pair is custom fit to the year, make, and model of your truck to ensure perfect fitment. They are also made using high quality ABS plastic which is tough enough to withstand the toughest jobs and the harshest climate conditions imaginable. These American made accessories are some of the best around and are a great investment in protecting the finish and value of your truck. The main reason to put a pair of Stampede ribbed bed rail caps is to keep your truck's bed safe and free from dents and blemishes. When you're loading things in and out of your truck, your truck's bed rails are often left vulnerable to being damaged by rogue objects as well as the effects of normal wear and tear. This is one accessory upgrade, however, that can help alleviate that worry. By defending your bed rails from damage, you can also help maintain the resale value of your truck by avoiding unsightly dents and dings. Installing a pair of Stampede ribbed bed rail caps couldn't be easier than with the included automotive grade 3M adhesive tape, which requires no drilling into your truck. Once they're on, their black finish adds a nice accent to the highlights of your truck's appearances. This enhanced visual style is sure to get noticed and will keep your truck looking great for as long as it's on the road, on the farm, around the job site, or anywhere else your truck takes you. You can order with confidence knowing that your Stampede ribbed bed rail caps themselves are protected by a limited lifetime warranty from the manufacturer. These high quality pickup bed rail caps are an excellent investment for any truck owner and come highly recommended. Stampede offers a limited lifetime warranty against defects in materials or workmanship on these ribbed bed rail caps. The Stampede ribbed truck bed rail caps offer an easy at home no drill installation. For additional information, please see the installation instructions below or call us at 1-877-216-5446 or 701-253-5906.